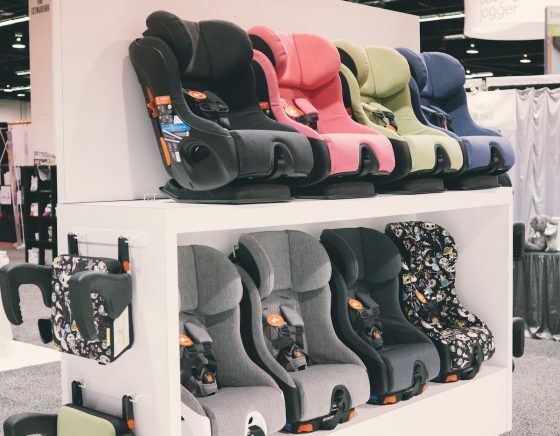 Our managing editor, Elena, spent a few days hunting down the best products at the JPMA Baby Show in Anaheim, California. 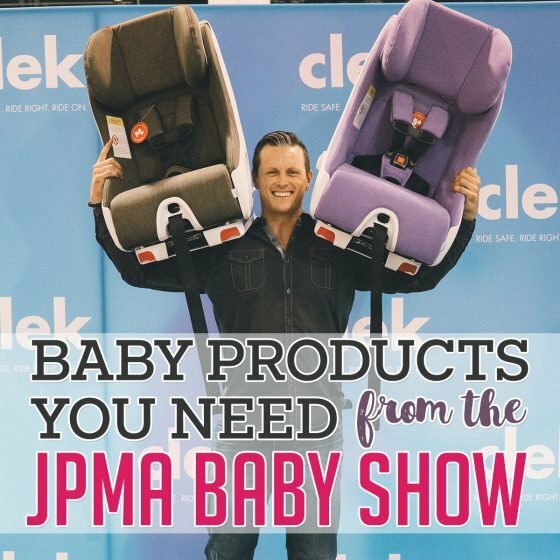 This was the first Baby Show for JPMA, and it did not disappoint. 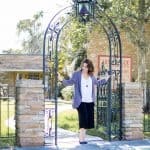 Elena talked to a lot of amazing brands and shared it all with us on Daily Mom’s Facebook page, live. 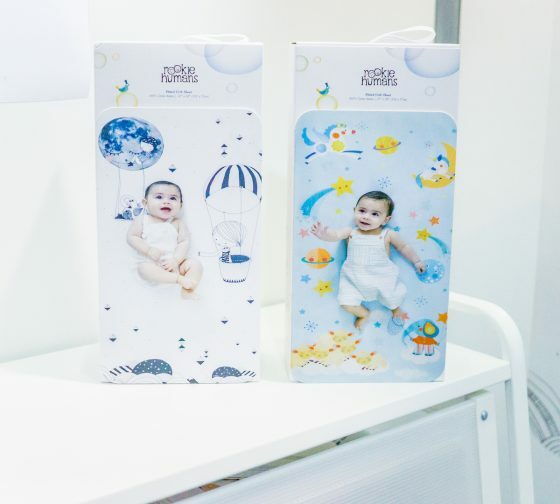 The world of baby products is always changing with new brands and products coming on the market that make life with babies and little kids easier. If you missed all the fun as it happened, we’ve put some favorite products together here for you. 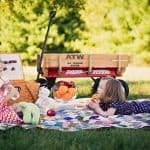 There is something here for every place in your everyday with your young children. 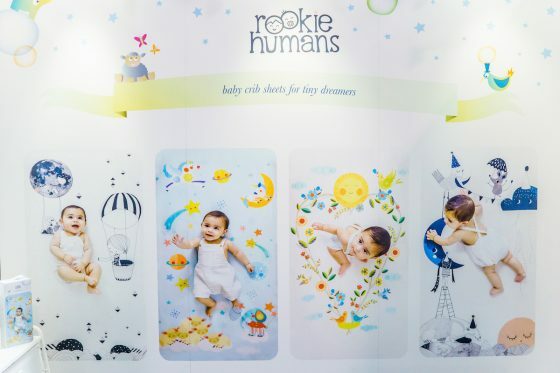 Rookie Humans is one of the coolest new brands that you need to add to your shopping list for your nursery. 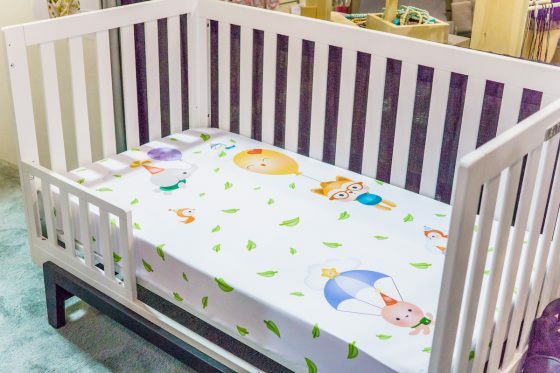 We are swooning over their crib sheets that double as a photo backdrop. These sheets will allow you to create photos of your baby napping that are a work of art. These sheets are imaginative and beautifully designed, featuring art from different artists. Each design is a limited edition. Right now there are four to choose from, and you are going to want them all. 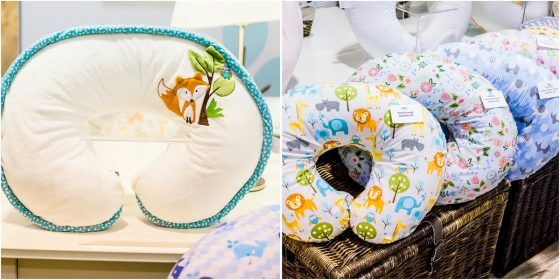 Baby Deedee offers new sleep solutions to keep baby comfy and safe and encourage sleep. More sleep is something we can all get behind. They make sleep bags, pajamas, and bedding. Everything is soft and durable. 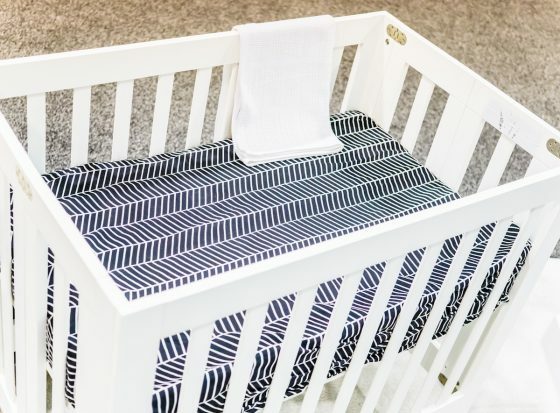 Keep cribs safe by keeping them blanket free. You don’t have to worry about your baby or even toddler getting cold if you tuck her in wearing a sleep bag from Baby DeeDee. The sleep bag can become part of your bedtime routine and will actually comfort your child and signal that it is time to sleep. We love all the colors and patterns available. If you have a kiddo who likes to kick and keep her feet free, there are footless sleep options from Baby DeeDee. There are options for all weather, winter weight and lighter weight and short sleeves. 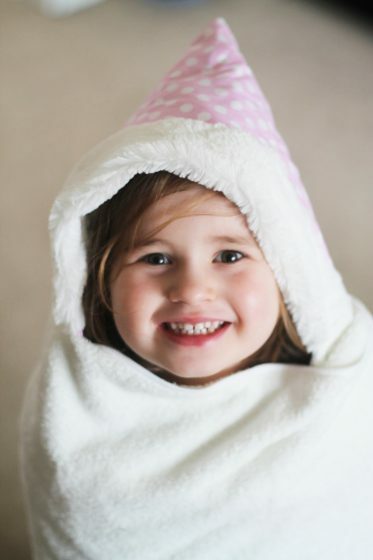 When your child is old enough for a blanket, she will love the toddler blankets from Baby DeeDee. Can we get one of these quilted blankets in adult size?? Lulujo Baby is all about the snuggles. 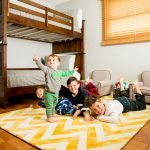 Every nursery needs a stack of swaddle blankets, and this company makes the best ones! They have cotton and bamboo muslin swaddles in the sweetest prints for boys and girls. In fact, they offer a lot more pattern options than other companies, and their quality is unmatched. Swaddling is so comforting for little ones, and you will feel good wrapping your baby up like a little burrito in this ridiculously soft, yet breathable blanket. 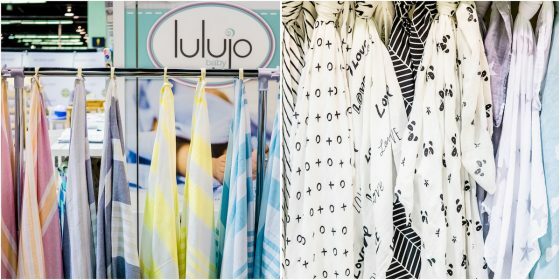 Lulujo also makes blankets for bigger kids and super soft towels for bath time as well. Their muslin sleeping bags for babies are luxurious. 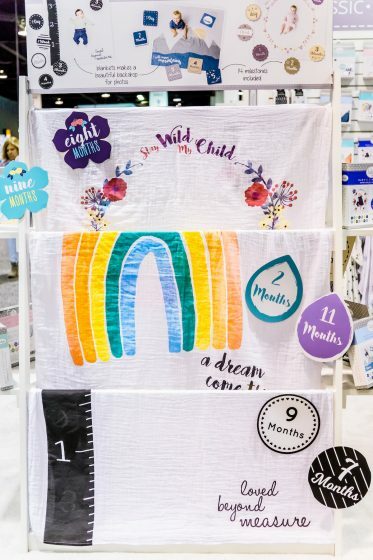 If you need a shower gift for a friend, this company offers lovely gift sets that will stand out at any baby shower. 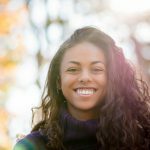 e-cloth wants to protect your family from the harmful chemicals that we use in our homes everyday. You can go chemical free with e-cloth and your family will be so much safer. Thanks to some serious science, e-cloth lets you keep your home clean and safe without harmful chemicals. Just use water and an e-cloth to wipe down bathrooms and clean spills on floors, high chairs, or counters. 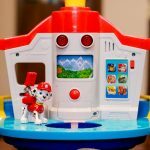 You can wipe down your baby’s toys with an e-cloth and the germs will be gone and there will be no chemical residue behind to wind up in baby’s mouth. Why needlessly expose your family to poisons? You don’t have to with e-cloth. Your baby will also be more comfortable thanks to the luxury hooded towel sets from e-cloth. These towels dry faster and keep baby warmer. Clean sticky hands and dirty faces on the go with the hand and face cleaning kits from e-cloth. 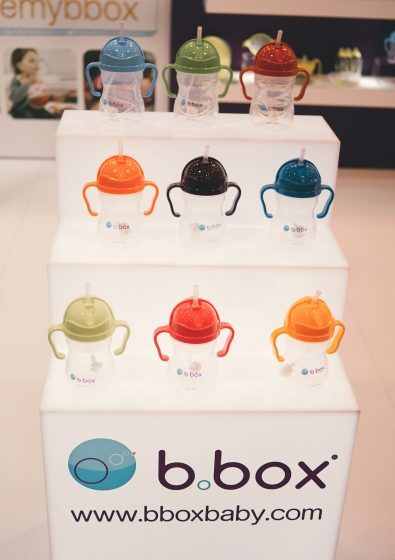 B.Box makes meal and snack times so simple. 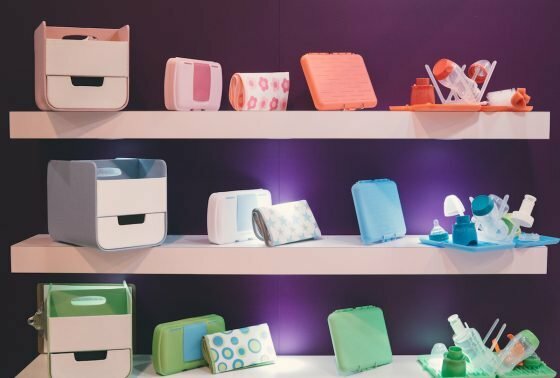 This company offers one innovative product after another, and parents are going to want to own them all. 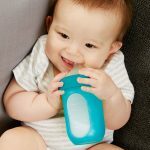 For example, their sippy cup allows your child to drink through a straw from any angle. How genius is that? If you have an especially messy eater in your home, their smock bib will make clean up much easier. Feed baby on the go with the travel spoon and bib set. Formula families will flip over their bottle that is also a dispenser. Water goes in the bottle and powder in the dispenser underneath. When baby is hungry you just plunge and shake and the bottle is ready to go, all in one piece. Their products are extremely popular because they are so useful! 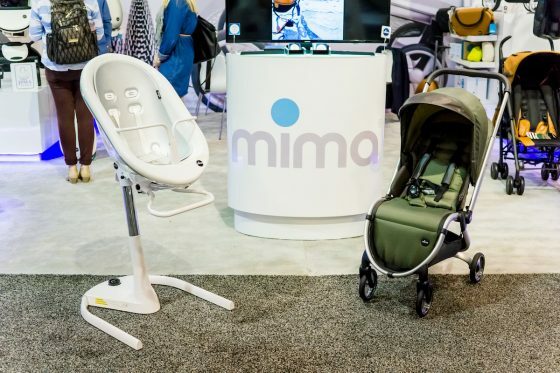 Mima is a luxury brand offering gorgeous strollers, high chairs, and even luggage. 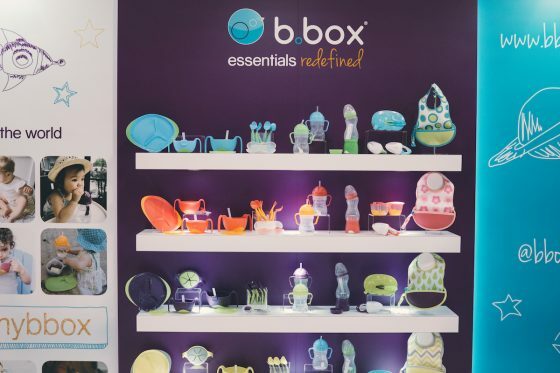 This brand was created by parents who pulled from their experiences with their children to design products that really work and look gorgeous at the same time. Your stroller can be a fashion statement when you choose Mima. 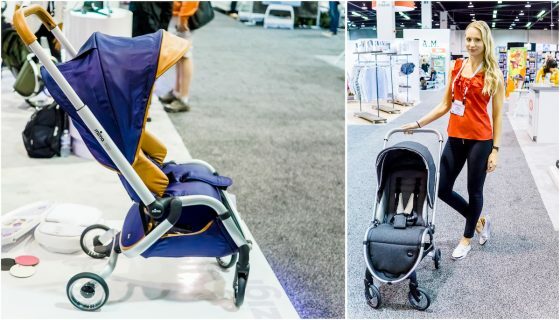 The Mima Zigi is a lightweight stroller with a compact design. 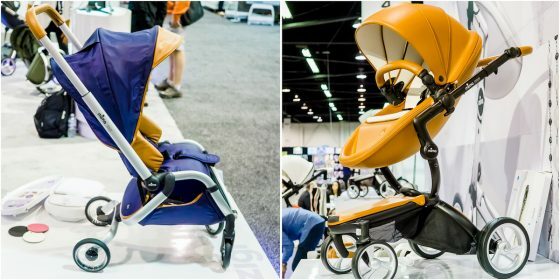 The Mima Xari is a smart stroller that evolves with your baby as he or she grows. Start with the included carrycot and switch to using just the seat when baby is 6 months old. If you need an umbrella stroller, the Mima BO is the best. For a highchair, Mima has the Mima Moon 2G. 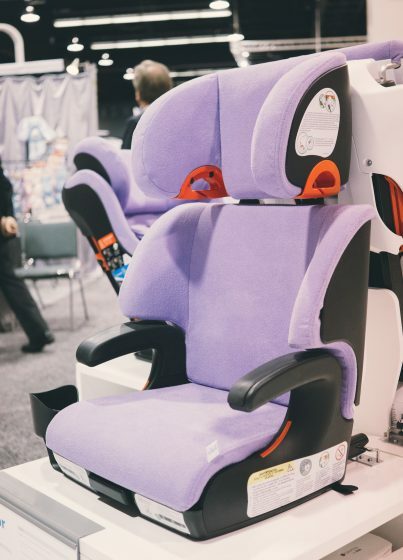 It works as a baby seat and adjusts until your child can use it as a junior chair pushed up to the table. Finally, for traveling with or without kids, you will adore the Mima Ovi suitcase. 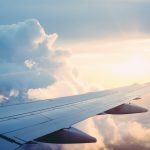 It is great for kids to pack when globetrotting, and makes a great carry on for Mom or Dad as well. We love that this brand makes your day to day more stylish and seamless! 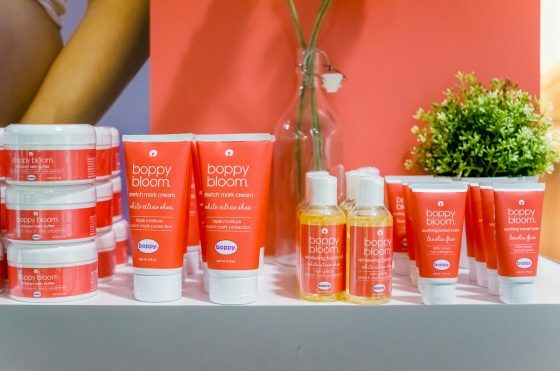 Boppy is an amazing company on a mission to support all moms! Their bestselling nursing pillows are a must have for every family. They’ve expanded their nursing pillow selections, and if you need serious support, the Best Latch Breastfeeding Pillow is fantastic. Did you know that they also make pregnancy pillows to keep Mom comfortable as her belly expands? They have small wedge pillows to support a growing belly and full support body pillows that Mom can hug from top to bottom. Moms who choose to cover when nursing will love the nursing covers from Boppy. 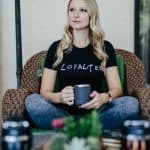 This company is mom focused and we love that. 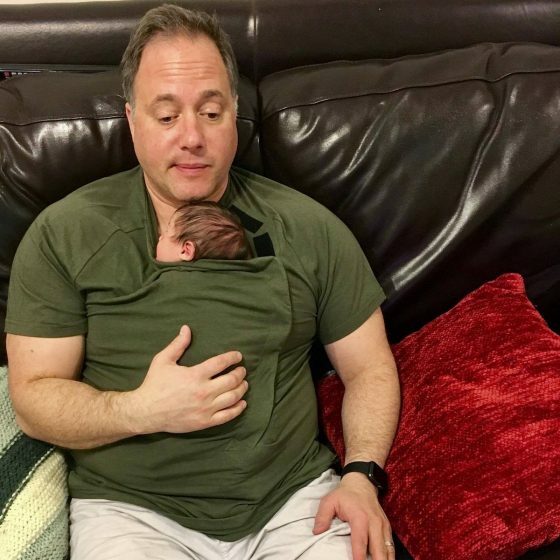 DadWare is a new company that will change the way dads care for their newborns. 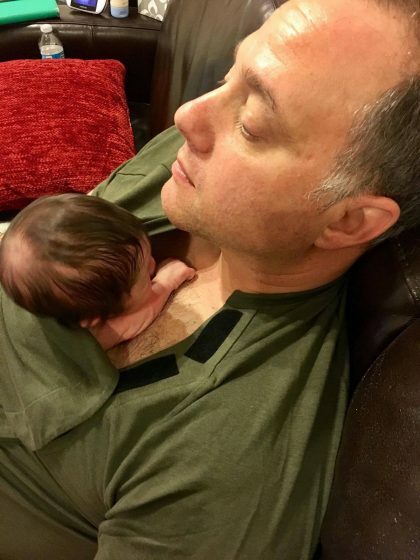 Thanks to DadWare, skin to skin time between father and baby is easier and more comfortable. 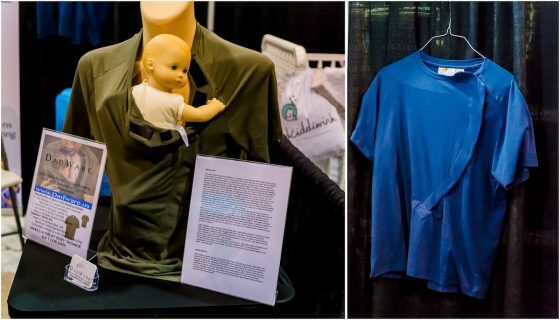 Their patent pending design lets Dad tuck that sweet baby into the shirt for some snuggles. Skin to skin contact is so valuable for the health of baby and for bonding. But dads can feel uncomfortable hanging out shirtless. This shirt opens in the front thank to the velcro panel, and it looks like a regular t-shirt, so Dad is comfortable wearing it all day. Dadware hasn’t totally left out the moms. Their gown for moms is ideal for snuggling and breastfeeding after delivery. Their maternity gown opens at the shoulder and has an opening in the front. 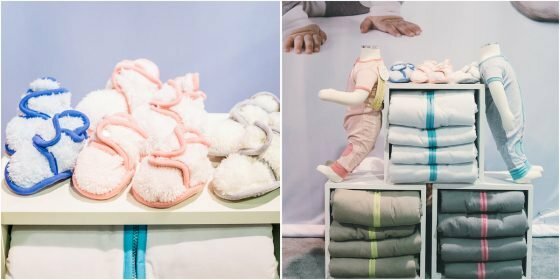 We love how this company encourages parents to snuggle up with their newborns by making it easier and more comfortable to do so. 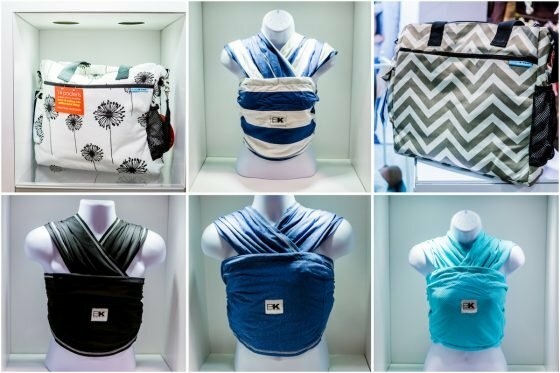 Baby K’tan is all about babywearing, something we strongly support at Daily Mom. Baby wearing is healthy for baby and makes our lives easier letting us keep baby close and keep our hands (mostly) free. Baby K’tan makes stretchy wraps that are easy to use and loved by parents and babies alike. Their original carrier is a classic. If you and baby get a little warm all wrapped up, try the Breeze Carrier made with a cotton-mesh. Baby K’tan also has organic and print options. Every new parent needs a baby carrier, and Baby K’tan is a great choice. 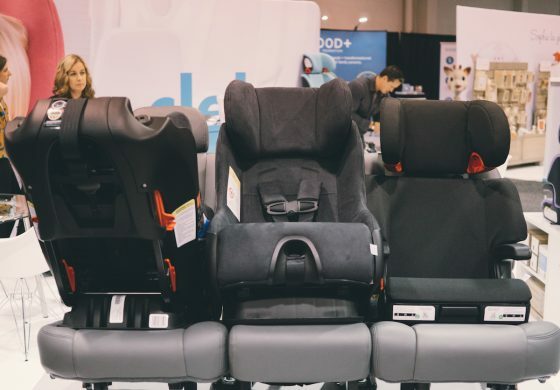 These carriers use ergonomic positioning to ensure baby’s healthy development, and the weight of the child is evenly distributed throughout the parent’s back and shoulders. Baby K’tan also offers a wonderful diaper bag that has a built-in antibacterial wet bag for cloth diapering! 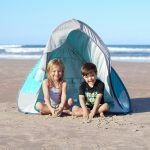 The Noggle is an ingenius product that solves the problem of hot kids rear facing in the car. With extended rear facing, many toddlers and preschoolers are riding backwards in the car until they are four years old. While this is much safer, if you live in a hot climate your child may be uncomfortable without an air conditioning vent blowing on him. 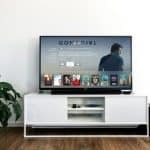 Noggle fixes this problem with their easy to install, flexible hose, that directs cool air right where your child needs it. 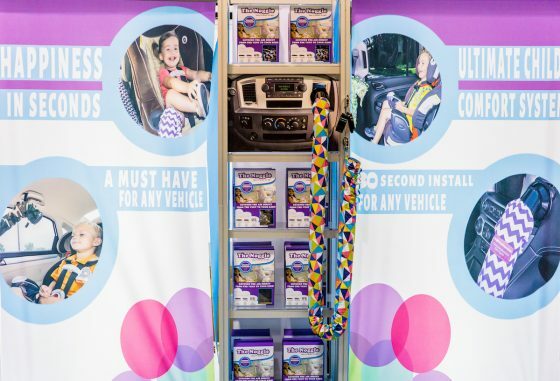 Even if you have a forward facing child, not all vehicles have rear air vents and those kids could use a little air too! 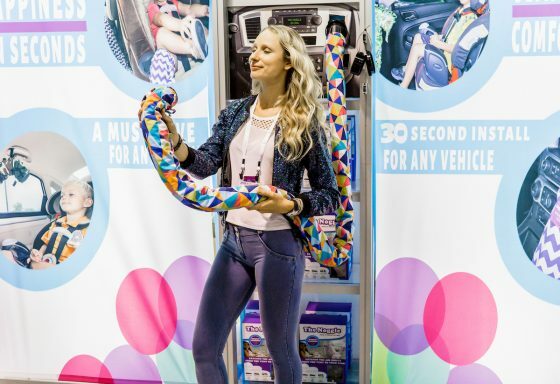 The Noggle can hang from a headrest of an unused seat or from the grab handle. There are three lengths depending on your needs: rear facing, front facing, and third row/cargo. Choose from tons of print options. This product is fun and useful. We hope you were able to watch some of our interviews with these brands from the JPMA show live. If you missed the action, check out the videos on Daily Mom’s Facebook page. You can go back and watch to see these products and more up close and personal. Make sure you like us on Facebook so you never miss one of our events again! 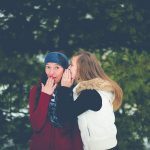 Do you love learning about new brands and products? 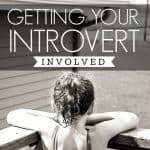 Check out DISCOVER.